Austin Dillon #3 American Ethanol Chevy Camaro-Getting rid of the black is a great move, and the new design works well with the color scheme. All things considered, this gets an A.
Ryan Newman #6 Oscar Meyer Ford Fusion-The color scheme works well, and the hot dog motif works well with the color scheme. 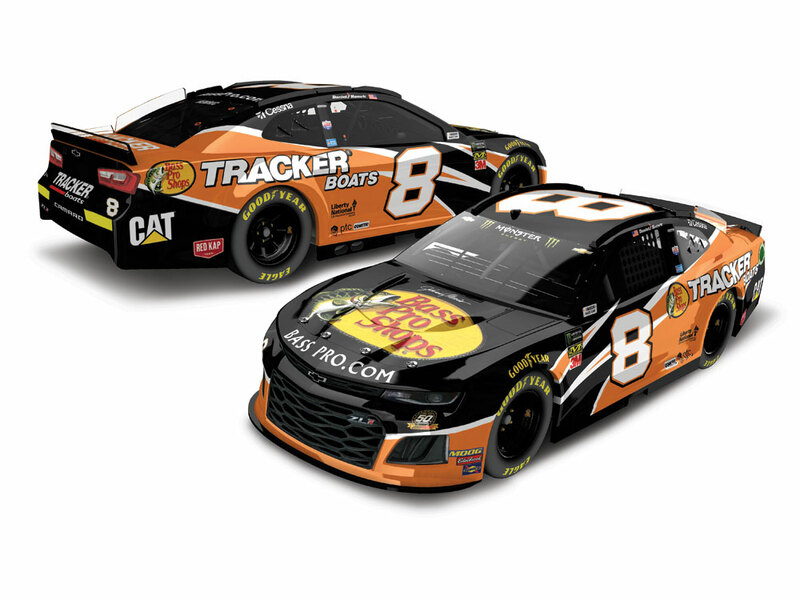 I’ll give this an A.
Daniel Hemric #8 Bass Pro Shops/Tracker Boats Chevy Camaro-The new design scheme is decent, though I think it is over done. The color scheme is decent, though it does work with the design scheme. It’s not great, but it’s decent, so it gets a B.
Ty Dillon #13 Twisted Tea Chevy Camaro-Same scheme as last year, same A grade. 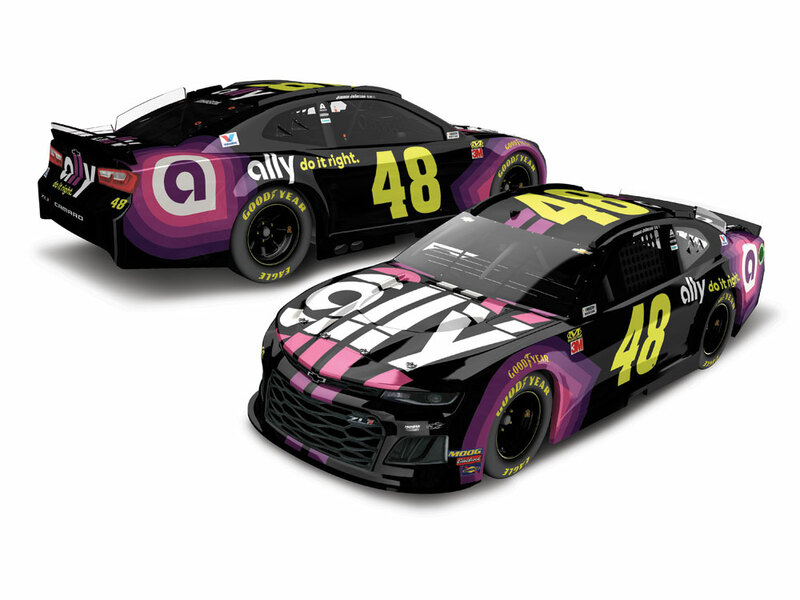 Jimmie Johnson #48 Ally Financial Chevy Camaro-I like the designs on the wheel well, and the overall design is great, and not over designed. Add in a great color scheme, and you have an A scheme.